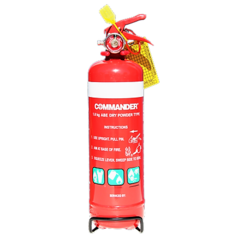 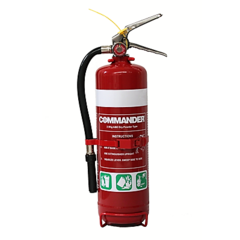 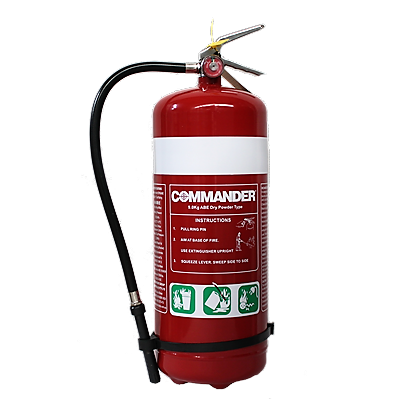 Our Commander 9kg Dry Chemical Fire Extinguisher (ABE Dry Chemical Powder Fire Extinguisher) is a powerful, highly effective extinguisher that will provide a high level of protection for your valuable assets. 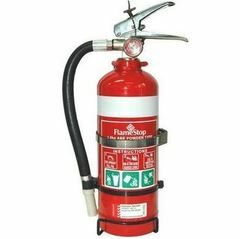 The 9kg ABE dry powder fire extinguisher is ideal for use in larger vehicles (buses, trucks, boats, earthmoving plant, mining equipment), large warehouses, factories, farms, heavy machinery, construction sites and mine workshops. 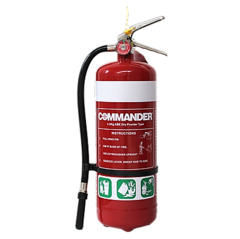 It comes supplied with a flexible rubber hose, and wall bracket for easy installation.